After some amount of time flipping through the pages of this graphic novel, I arrived at this deeply interesting panel. 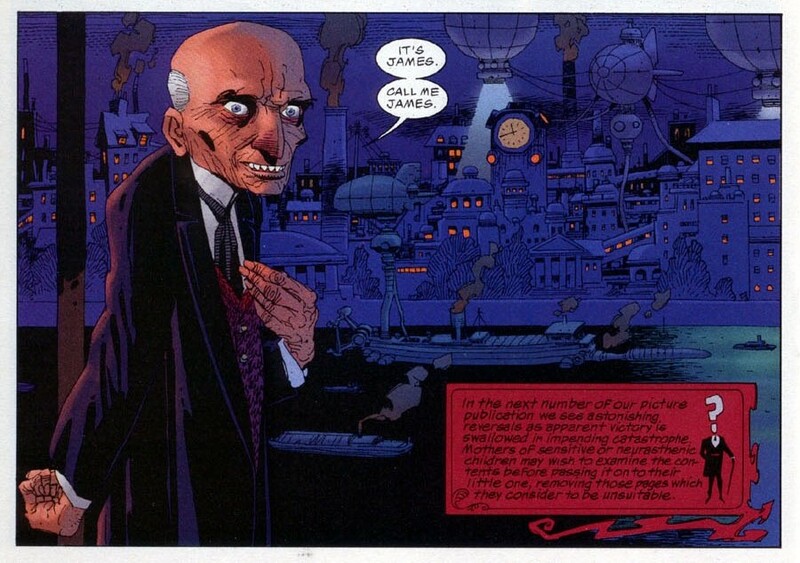 This panel is the first panel in which the Limehouse district is visually introduced to the reader. To begin, the scenery in the panel is dark and dreary, thereby giving the reader the impression that this area isn’t a particularly good area to live in. 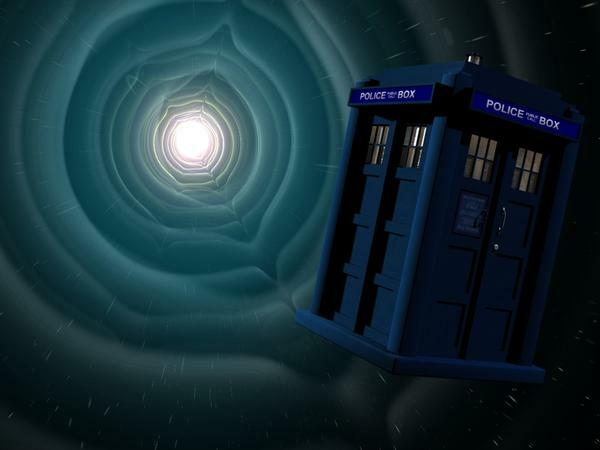 Furthermore, the sky is filled with a face that is presumed to be the face of “The Doctor”. The face is not meant to be taken literally as being in the sky, but rather it helps to emphasize the fact that “The Doctor” oversees the district, acting as its crime warlord. 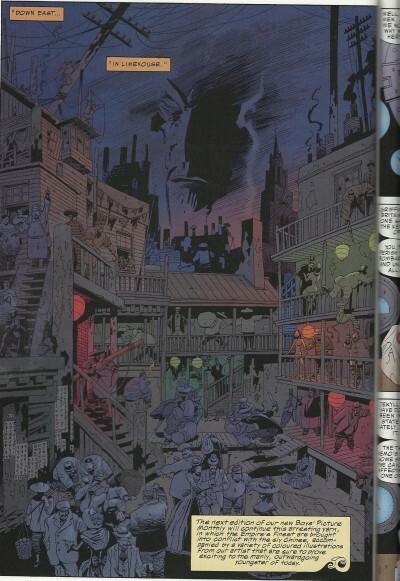 The next items that stood out to me in the panel were the smokestacks coming from the houses and pollution in the sky. Following the norm in most steam punk fiction, the pollution indicates a critique of the over-industrialization of the city by showing one of its negative effects on the environment. Also, in the top left corner, two workers are working on repairing a phone line in a very precarious manner. Herein lies another critique of the over-industrialization displayed in most steam punk fiction, as the safety of the workers is not put into consideration, and they are viewed simply as a means to the completion of industrial projects. The panel also contains some racism, specifically against the Chinese. First, in the bottom left corner, three Chinese men are displayed with slanted eyes and stereotypically Chinese headwear. Moreover, these men are robbing an unconscious man lying on the ground. In addition, in the middle-bottom right corner of the panel, a Chinese man is karate-kicking two other men while raising his sword menacingly at them. Although the racism throughout the graphic novel is not meant to be taken literally, the panel does demonstrate the stereotypes about the Chinese, and it portrays them in a very negative manner. Next, the housing of the district is extremely broken down and ragged, and beggars can be seen in various parts of the panel, such as in the bottom right corner, thereby displaying the district as a very poor area. In addition, a brothel exists right next to this beggar, and naked men and women are shown on the decks of this building. There is even a depiction of a woman beating on a man in the center of the panel. These examples portray the district as a fundamentally immoral and flawed neighborhood that thrives on vice and crime in order to survive. All of these examples come together to show that the Limelight district is a seedy, dark, and corrupt location filled with evildoers, prostitutes, and violent individuals. By showing “The Doctor” in the background overseeing all of this activity, he is thus also characterized as an evil and corrupt individual. However, the panel also critiques industrialization by displaying many of its negative consequences. These characteristics help to influence readers’ opinions later in the novel, thereby increasing the panel’s importance. As children, I would hazard a guess that most of us read a comic book at some point or another. Why? Comic books are meant to be entertaining. They don’t need a terribly deep story line or minute references to real people and events or social commentary to achieve that point. But can they? If you’re name is Alan Moore, you clearly thought that they could. And thus we have the graphic novel (as one would call a long comic book with substance such as this) The League of Extraordinary Gentlemen. Now, graphic novels usually get bad press in the academic world because of their similarity to comics. But a look at just one panel of Moore’s novel shows that it has much more meaning colored and shaded into the frame than a comic and provides as much, if not more, detail as a normal book would. In the league of Extraordinary Gentlemen (the graphic novel) there are a great many of well know characters from other stories and comics. In this frame, we are introduced to Mr. M. who we find out is James Moriarty. The first thing I notice is obviously Mr. Moriarty himself. A deeper look at his character reveals the darkened deep-set eyes which seem to peer very deeply at you. I slight wrinkled brow makes him seem very old and maybe slightly angry. His right arm is suspiciously curled behind his back, seeming rather shady and rather unnaturally curved. His fingers on his left hand show wrinkled skin laid loosely over scrawny bones. He is delicately pointing towards himself which, coupled with the appearance of his character, suggests that he is a hard person, but a crafty and careful plotter. His attire is that a powerful but necessary businessman. No extravagant displays of wealth through shiny cigar cases or flashy clothing. His bald head and simple suit suggest that he is a to-the-point kind of person who takes no bull. The pointed teeth give the appearance of anger and evil. His dark suit also points towards evil characteristics. If we look off in the background, we see the typical steam punk elements of, well, steam and gear-run machines. Graphic novels aren’t widely accepted as scholarly work. They are usually seen as picture books for kids, or as comics for “nerds” without value. I’m here to tell you that great graphic novels are as substantive and worthwhile as great novels, the same way a a movie can be. Below is a single panel from The League of Extraordinary Gentlemen. The attention to minute details, and the plethora of fantastic allusions made in this graphic novel truly set it apart from a mere comic book. This is one of four small panels, next to a large, page and a half panel. In this almost inconsequential panel, Moore gives the reader so much. In the foreground there is a ragged, obviously poor gentlemen and a few boys dressed similarly. The details incorporated immerse the reader—the fingerless gloves, the cigarettes, the wart on his nose, and so much more. His low class and that of his young companions is affirmed from the way they talk. In the mid-ground there is a burning building and smoke. And In the background a flying ship can be seen bombing the buildings of London (the cause of the building fire.) This is what is understood at face value. Now, onto the good stuff. 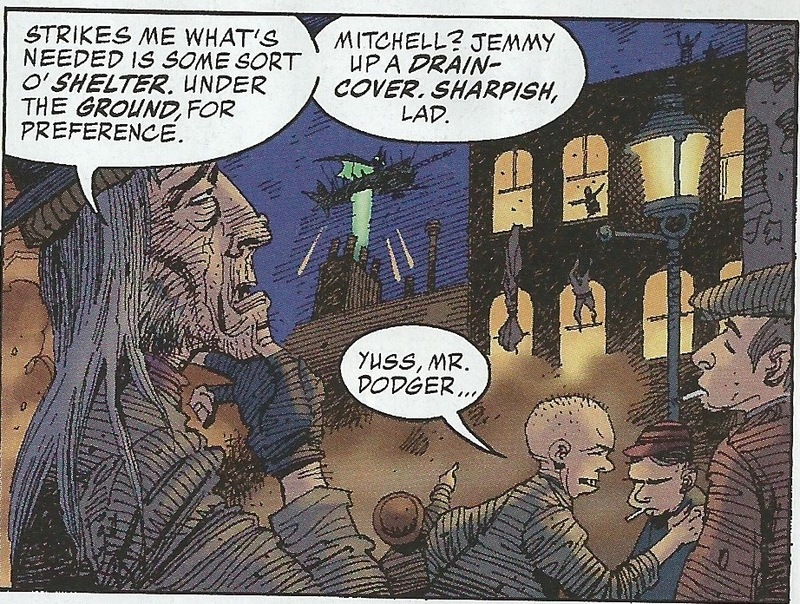 In this panel on of the young boys refer to the older, ragged gentleman as Mr. Dodger. In the panel above this, the same boy tells Mr. Dodger that he has stole Mr. Quartermain’s purse (or “is tart’s purse.”) This automatically reminds any of us who have read Charles Dickens’s Oliver Twist. This Mr. Dodger, is none other then the skillful and cunning Artful Dodger grown up. It seems he has started a gang of pickpocket children as well. Moore also included another quick allusion. Mr. Dodger refers to one the boys as “Mitchell,” and the other as “Watts.” A quick google search of “Mitchell and Watts London” brought up the EastEnders Wikipedia page. Having never seen the show, I do not fully understand the reference, but the show, taking place in the East End of London, is about the Mitchell and Watts family. Although a bit anachronistic, it makes sense that these two would be in the east end, the sight of the bombings. Maybe these two are the ancestors the two families. Finally, the flying ship in the background is the quintessential representation of steampunk technology. This great advancement which has the power for so much good, is also the source of so much destruction. 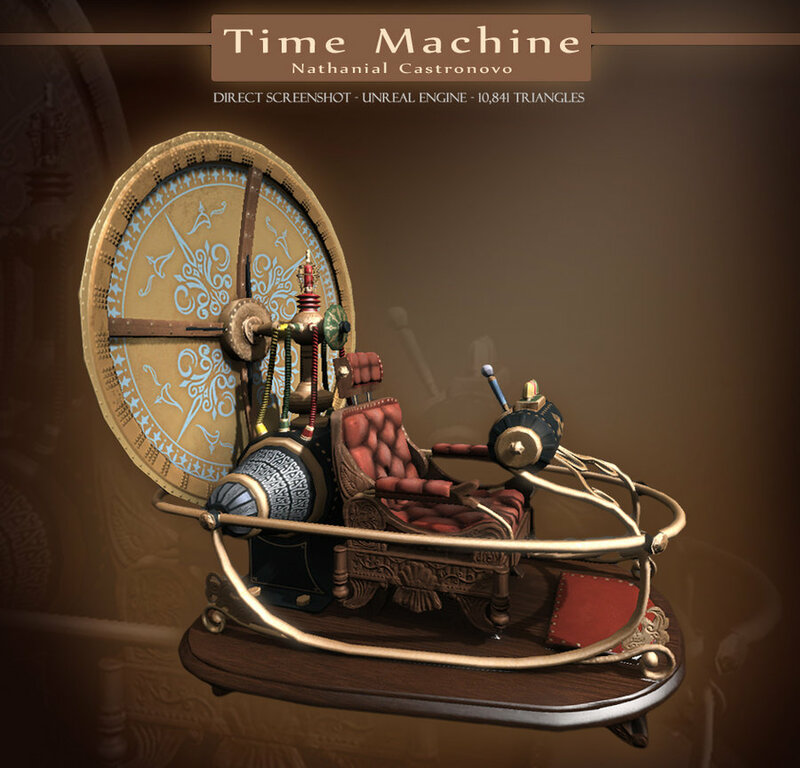 This theme of the duality of technology is prominent throughout many steampunk novels. The above was one panel. The League of Extraordinary Gentlemen is full of allusions and symbolism that makes it worthy of being called a a true graphic novel.